2. What Are the Benefits of an Accelerated Mortgage? Looking around at various mortgage options can save you thousands of dollars in interest over the duration of the loan. The choices of interest rate terms allow you to create a mortgage repayment schedule that fits your budget and control how much total interest you will pay. Changing how you make your payments can also allow you to pay off your mortgage faster and save even more interest. Fixed-rate mortgages typically come in terms of 15, 20 and 30 years. 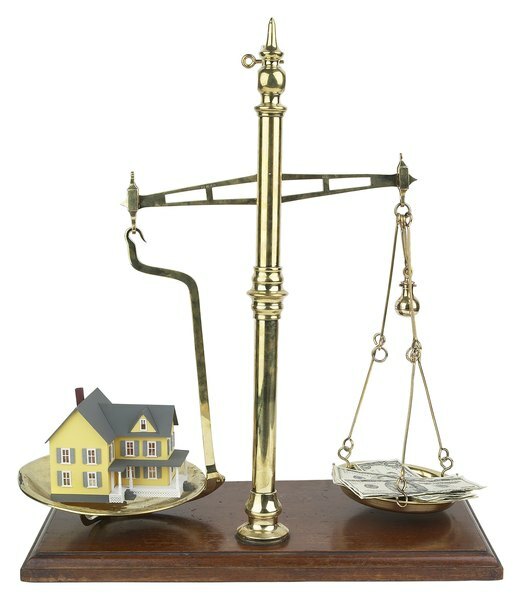 A longer term will result in a lower payment but will also cost you the most interest over the duration of your loan. With longer terms, your lower payment reduces the mortgage balance slower and therefore you pay more interest. Consider a $250,000 30-year fixed-rate mortgage with an interest rate of 4.0 percent. Your monthly payment would be $1,193.54, resulting in $179,674.40 in total interest over 30 years. On a 15-year mortgage your monthly payment would be $1,849.22 with total interest over 15 years equal to $82,859.60. If you can afford the monthly payment, you can pay off your mortgage in half the time and save more than half the interest. If you could only afford the 20-year mortgage payment of $1,514.95, your total interest would be $113,588, still a significant reduction from the 30-year mortgage. Consider contacting various lending institutions and mortgage brokers to get the best deal possible. Even if you could only afford a 30-year mortgage payment, a 0.25 percent reduction in your mortgage rate could reduce your interest costs by thousands of dollars. Your $250,000 mortgage at 3.75 percent for 30 years would result in a monthly payment of $1,157.79 and total interest of $166,804.40 -- an interest savings of $12,870 over the loan at 4.0 percent. Making biweekly payments of half your monthly mortgage payment will save on interest. Instead of making 12 monthly payments, you will make 26 biweekly payments in the year, which is the equivalent of paying one extra mortgage payment. This allows you to pay more money into your mortgage and reduce your principal down faster. The result is lower interest charges and paying off your mortgage sooner. Consider your $250,000, 30-year mortgage at an interest rate of 4.0 percent with monthly payment of $1,193.54. Your total annual payments would be $14,322.48. If instead you made biweekly payments of $596.77, your total payments every year would equal $15,516.02. Your interest costs over the lifetime of the loan would be reduced to $150,450.40 instead of $179,674.40, and you would pay off your mortgage in 25 years and 10 months instead of 30 years. An adjustable rate mortgage typically starts with an interest rate guarantee period, such as five years, and thereafter the interest rate adjusts generally once a year up or down based on current rates at the time. Your initial interest rate is typically lower than the rate for a similar term fixed-rate mortgage. If you took out a 30-year $250,000 ARM at an interest rate of 3.0 percent, your monthly payment would be $1,054.01. If interest rates never changed for 30 years, your payment would remain the same and you would have paid $129,443.60 in interest, saving you more than $50,000 in interest compared to the fixed-rate term of 4.0 percent. However, if interest rates have increased by the end of your initial guaranteed period, your monthly payment will be adjusted upward and you will pay more in interest charges. Consider an ARM only if you are fairly confident that interest rates will remain stable or go down over time. Money Girl: What Is the Best Type of Mortgage?